Smith Unit is a maximum security prison located in Lamesa Texas, part of Dawson County. Smith Unit houses up to 2,234 male inmates who range from G1 minimum to G5 maximum. The facility is situated on 563 acres and secured by multiple razor wire fences, armed guard towers, roving patrol and multiple electronic sensors. Inmates incarcerated at the Smith Unit can receive substance abuse education, take literacy courses, adult basic education classes, and earn a GED. Vocational skills taught at Smith Unit include mill work and cabinetmaking, plumbing, electrical, and Western Texas College offers a vocational classes in horticulture. Additional courses are provided in life skills, arts/crafts, and CHANGES with is a pre-release course that helps prepare inmates who are nearing the end of their sentence/parole date. Select inmates at the Smith Unit can provide a supervised labor force to local government agencies. Inmates may also work in an on site mattress factory, and provide maintenance for the facility. A unit garden and contract grazing and farming are also part of the operations of Smith Unit. 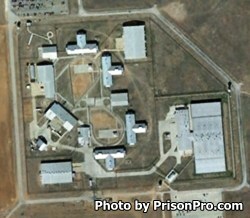 All inmates at Smith Unit in Texas have visitation from 8am to 5pm on Saturdays and Sundays. Inmates who are in the Expansion Cell-block have visits by appointment only, visitors must contact the facility prior to their visit to schedule an appointment. Offenders are limited to a single two hour visit per weekend, by no more then two adults at a time (children under 16 do not count against this number). If the visitor is traveling or lives more then 300 miles from the institution they can submit a special visit request to the Warden's office. If approved a special visit can be four hours in length and occur on Saturday and on Sunday (4 hours each day). Special visits usually only occur once or twice per year. Visitors are permitted to bring a clear plastic bag with no more then $20 in quarters to use in the vending machines, paper currency is strictly prohibited.